Mining Archives - Africa M.E. HARARE (Reuters) – Zimbabwe wants mining firms to list on the local bourse as part of efforts under new president Emmerson Mnangagwa to boost investment and local ownership of its vast mineral resources, a new bill before parliament showed. Mnangagwa, who took power in November when the military ousted Robert Mugabe after nearly four decades, has vowed to revitalise the economy and unlock investment in the mining sector after years of reticence by foreign investors. “No mining right or title shall be granted or issued to a public company unless the majority of its shares are listed on a securities exchange in Zimbabwe,” the bill says. Companies seeking rights to mine in the platinum-rich country but already listed elsewhere must notify the mines minister and use the funds from such public offers to develop the mine in Zimbabwe, the bill said. A failure to comply would mean a liability of a fine equivalent to 100 percent of the cash raised at the foreign listing or as much as 10 years in prison. Industry lobby group, Chamber of Mines, said its members were not opposed to the proposal to list on the local bourse but warned that exchange may not be deep and liquid enough for companies to raise capital. “Our members are not averse to listing on the local bourse but it has no capacity to meet the needs of the members,” Chief Executive Isaac Kwesu said. Four mining companies, including Canada’s Falcon Gold and local diversified miner RioZim, are listed on the Zimbabwe Stock Exchange, which has a market capitalisation of around $8 billion. JOHANNESBURG (Reuters) – South Africa’s Gold Fields will buy a near 50 percent share of Asanko Gold Inc’s Ghana subsidiary and take a stake in the Canadian miner in a $202.6 million deal announced on Thursday. 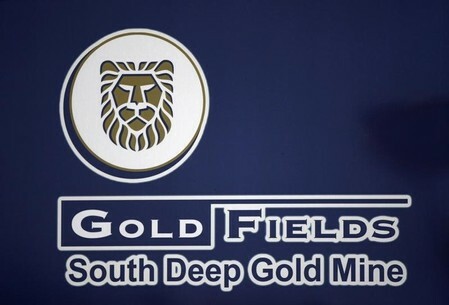 Investors were cautious, questioning whether the African joint venture would make a return any time soon and sending Gold Fields’ shares down nearly 6 percent, in an already weak bullion sector. 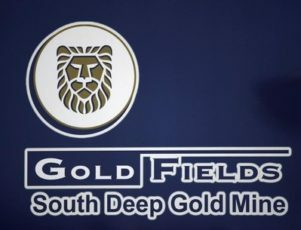 Gold Fields said in a statement that as well as acquiring half of Asanko Gold Ghana’s 90 percent interest in the Asanko Gold Mine, its Ghana subsidiary will also acquire associated properties and exploration rights in the African country. Shares in Goldfields fell more than the broader bullion sector – which was down 2.8 percent – tumbling 5.9 percent to 46.01 rand by 0858 GMT. “There’s always some execution risk, they are buying these things but can they actually make money out of it, is what the market is asking,” said Cratos Capital equities trader Greg Davies. The deal includes an upfront payment of $165 million on closure of the transaction and a deferred payment of $20 million. Gold Fields’ subsidiary will also take a 9.9 percent stake in Toronto-listed Asanko for $17.6 million in a share placement. 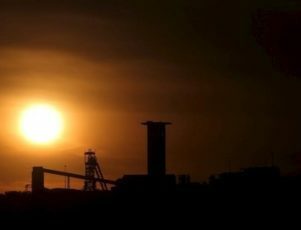 The South African miner said the $203 million deal fitted in with its strategy to improve its portfolio by lowering all-in costs and extending mines’ lifespans to enhance cash generation. Asanko, which is expected to produce 253,000 ounces of gold annually from 2019 to 2023 with a life-of-mine of at least 15 years, also has the potential to make further discoveries, Gold Fields said. “The Asanko joint venture will give immediate access to low cost production ounces, increasing the quality of the Gold Fields’ portfolio,” the South African miner said. 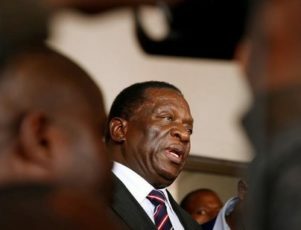 HARARE (Reuters) – A Cypriot investor signed a $4.2 billion deal on Thursday to develop a platinum mine and refinery in Zimbabwe, an investment that President Emmerson Mnangagwa said showed the country was “open for business”. Signing the agreement with Cyprus-based Karo Resources, Mines Minister Winston Chitando said work would start in July, with the first output of platinum group metals expected in 2020, aiming to reach 1.4 million ounces annually within three years. It was unclear, however, where all the funding would come from and analysts said the project start date of July looked very ambitious. 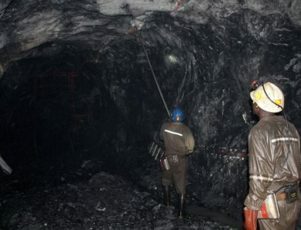 Located in the Mhondoro-Ngezi platinum belt, west of Harare, where Impala Platinum Holdings has operations, the project will include a coal mine and power station to produce electricity for the smelter, and should employ 15,000 people when fully implemented, Karo head Loucas Pouroulis said. Keen to revive the mining sector after years of reticence by foreign investors during Robert Mugabe’s rule, President Mnangagwa said the deal showed things had changed since his ascendancy after Mugabe’s ousting in November. “Zimbabwe is open for business and whoever stands in the way, hurting business in this country, will fall. It is not business as usual anymore, things have to change,” Mnangagwa said at the signing ceremony. The project was first mooted six years ago but had been held back by government red tape and “other unnamed vested interests, which are corrupt interests,” he said. Zimbabwe’s government did not give details of the source of funding for such a big investment. Industry sources, who asked not to be named, said there was no obligation to provide any cash until firmer plans for the development were in place. Cyprus-born Pouroulis spent his early career with industry giant Anglo American in South Africa, branching out on his own to establish more niche operators such as Petra Diamonds, Eland Platinum and Tharisa Minerals, according to his profile on Tharisa’s website. As well as heading Karo, Pouroulis is chairman and founder of Tharisa, in which his family has a 45 percent stake. Tharisa, which has chrome and platinum operations in South Africa’s Bushveld, has made clear its interest in the potential of Zimbabwe, which holds the world’s second-largest platinum deposits after neighbouring South Africa. The company, however, has a market capitalisation of only 5.5 billion rand ($464 million), although it is well regarded by many city analysts and its share price has rallied 15 percent this year. HSBC initiated covered of the stock on Thursday, rating it a buy. 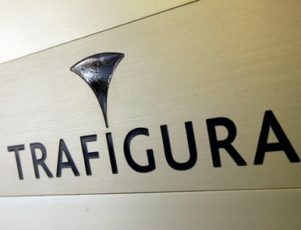 It predicted it would have a net cash position of $185 million by the end of 2022 and said platinum prices should benefit from continued supply curtailment in South Africa because of regulatory and funding uncertainty. Foreign investment stalled in Zimbabwe during the later years of Mugabe’s reign. Analysts say the outlook is still uncertain, but interest is strong in a country that has rich, underexplored resources. An investment conference on Zimbabwe in London last week was heavily oversubscribed. On Monday, Mnangagwa’s government amended the Mugabe-era Indigenisation and Economic Empowerment Act, which aimed to increase black Zimbabweans’ ownership of mines by preventing foreign entities holding majority stakes. The revised law removed that stipulation for most types of mining, but not diamond and platinum mines. Chitando said Karo Resources was expected to comply with the empowerment law by giving up majority ownership in the project. He did not elaborate. TORONTO/LONDON (Reuters) – Canada’s First Quantum Minerals on Wednesday was hopeful of resolving a dispute with Zambia over a whopping 76.5 billion Zambian kwacha ($8.07 billion) bill for unpaid duties on imported mining equipment. Zambia has reduced “significant” tax assessments against it in the past, Chief Executive Philip Pascall said on a conference call with analysts. He declined to speculate on the possible outcome of Zambia’s review of the latest claim, which involves more than 23,000 documents and could take up to six months. The bill comprises $150 million in higher import duties, $2.1 billion in penalties and $5.7 billion in interest, First Quantum said. It relates to $540 million in mining equipment imported to its Sentinel copper mine between 2012 and 2017. The company’s preliminary review of assessment documents, which require approval by the Zambian Revenue Authority (ZRA) before imports are released, show an erroneous application of both higher and lower duties than appropriate, Pascall said. It was unclear how Zambia calculated the $2.1 billion penalty, First Quantum said, noting that smuggled goods tend to get a 300-percent penalty for customs avoidance, while simple errors typically get a 15-percent penalty. “This is clearly an eye-watering amount,” Bernstein analyst Paul Gait said in a note to clients, comparing the $8-billion bill to First Quantum’s market capitalization on Wednesday morning of about $9.5 billion. “If anything like these claims is actually enforced, it will make Zambia largely uninvestable for any mining company, and probably any other industry as well,” Gait said. First Quantum, which has paid a cumulative $3 billion in taxes to Zambia, said it was unaware why the matter was made public, an unusual move for Zambia. The company’s two copper mines in Zambia are unaffected by the issue. Zambia, which collected 39.1 billion kwacha in taxes last year, netted 4.4 billion kwacha in hidden assets from small companies after they were offered amnesty for such declarations. Dozens of mining companies operate in Zambia, primarily extracting copper. The Zambian Revenue Authority said it had started detailed audits on all companies for compliance, suggesting other miners may come under scrutiny. 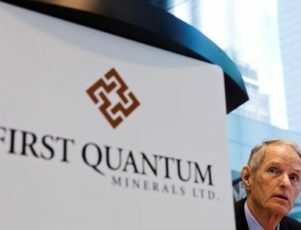 First Quantum shares dipped nearly 2 percent on Wednesday to C$17.68. Shares sank 12.4 percent in Toronto on Tuesday before trading in the stock was suspended. 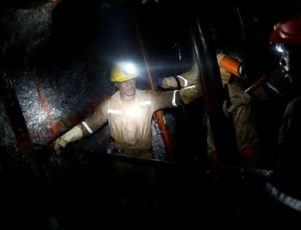 JOHANNESBURG (Reuters) – Precious metals producer Sibanye-Stillwater arrested nearly 1,400 illegal miners at its South African gold shafts last year in a blitz the company says has mostly ended the practice at its mines. Illegal gold mining has plagued South Africa for decades and it costs the government and the industry more than 20 billion rand ($1.7 billion) a year in lost sales, taxes and royalties, according to a Chamber of Mines report last year. Sibanye Chief Executive Neal Froneman vowed last year to take the war to illegal miners and clear them from its shafts by January 2018 under the battle cry “Zero Zama”, after the Zulu term for illegal miners. According to data provided to Reuters by Sibanye, it made 797 arrests in 2017 linked to illegal mining at its Cooke operations and 1,383 overall. The blitz peaked in June with more than 500 arrests, above the 443 arrests in 2016 as a whole. While Sibanye fell short of its goal of stamping out illegal mining altogether, Sibanye’s head of security Nash Lutchman said based on available intelligence, “there are only about 40 to 50 illegal miners operating now, scattered across our Kloof and Driefontein operations”. Froneman said last year the number of illegal miners in the company’s gold operations numbered “in the thousands”. Sibanye was the first South African gold miner to set itself a deadline to stop the practice. Most zamas are undocumented immigrants from neighbouring countries who have long provided migrant labour for South Africa’s mines, but are now being laid off. The syndicates that support them and traffic the illegal metals are well-funded, well-established and highly dangerous, security experts say. Sibanye’s drive was helped by the mothballing of its loss-making Cooke operation west of Johannesburg, which was the epicentre of illegal mining activity in its shafts. Illegal miners gain access to working gold mines through bribery and other means, forcing companies to dispatch security teams to the shafts and to tighten entrance measures. Sibanye spent 300 million rand last year and will spend another 300 million rand this year on access and biometric controls at the entry points to its gold mines. “It still costs us so I don’t know if we will ever declare a victory but we are at the end of stage one,” Froneman told Reuters. “My biggest concern about illegal mining is the corruption of our supervisors and our employees. That just sets a path for creating a rotten organisation. Everybody gets bribed and the integrity of the business just gets undermined,” he said. Froneman admitted there was no guarantee illegal miners would not try to return, so the company needed to maintain its costly vigilance. Security experts have said Sibanye would struggle to eradicate illegal mining completely but could reduce it by 90 percent. Sibanye is the second South African gold producer to announce a milestone linked to illegal mining this month. AngloGold Ashanti said it would spend up to $500 million to mechanise its Obuasi mine in Ghana. The gold mine was rendered worthless when it was invaded by thousands of illegal miners. They were removed by the military last year and the South African company decided to revive the mine as an automated operation after a feasibility study.